What makes Danish films so appealing to North American audiences? The question arose during a conversation with some peers at the launch for the Canadian Film Institute’s Bright Nights Baltic-Nordic Film Festival, since Denmark was riding a high on a trio of nominated films—The Act of Killing, The Hunt, and the short Helium—at this year’s Academy Awards. Add to these three the European Union Film Festival sell-out Superclásico and it seems as if the Danes might have a monopoly on the Baltic-Nordic contingent of local cinephilia. (Although the Swedish films have also been doing rather well.) There is no easy answer to explain why the Danish filmmakers turn out more hits than many of their other European contemporaries do, but Moonrider, the Danish offering at this year’s Bright Nights Baltic-Nordic Film Festival, is bound to reignite the question following the screening. Moonrider might seem like the most difficult sell on the festival programme. A documentary shot on Super 8, Moonrider’s experimental edge doesn’t seem as obvious a crowd-pleaser as the light and bubbly Superclásico does. If it seems like a risk to include a film like Moonrider, though, it’s a risk that’s sure to pay off, since audiences who experience it are in store for a film unlike anything they’ve seen before. Moonrider is an underdog sports story, the kind that’s been told countless times, but nobody has ever quite told it like this. This outstanding and visually striking film has an energy that’s hard to define. Director Daniel Dencik follows up-and-coming cyclist Rasmus Quaade as he strives to become World Champion and the film chronicles the athlete’s relentless strive to become a professional doing his one true passion. Rasmus, however, almost has too much drive to become the best. 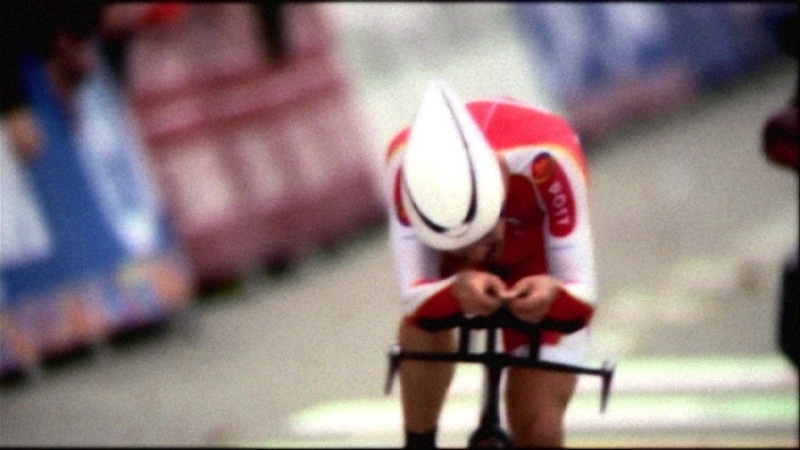 It’s this objective gaze, which sees Rasmus both as a source of inspiration and as a rabbit hole into the mania of professional sports, that sets Moonrider apart from other sports films as it follows its subject to the finish line. It seems as if Rasmus will have an easy ride to the podium when Moonrider begins, for the cyclist recounts in voiceover his experience of biking so fast through the streets of his town that he would set off sensors meant to detect speeding cars. 60 Km/h is the pace at which Rasmus torpedoes through the streets during his rigorous training regime to realize his dream. Keeping up a pace like that, the title of World Champion shouldn’t be too far away. There’s an abrupt shift in the footage, though, as Rasmus becomes light-headed and dizzy and collapses during training. He pushed himself too hard. He strove to fulfill his dream beyond his body’s capacity to achieve it. Moonrider then looks at Rasmus anew as he continues to train for the World Championship knowing the limitations of his body could kill not only his dream, but himself as well. Like Mickey Rourke in The Wrestler, though, Rasmus isn’t daunted by a pure love of the sport that defines him. It’s better to go out doing what he loves than to live forever knowing that he didn’t try. The viewpoint also makes clear how exhausting the trials and preparations can be. At times dizzying and disorienting, Moonrider makes plain how unhealthy Rasmus’s regime actually is. It’s something that the cyclist himself acknowledges, saying, “You lead such a healthy life it can be unhealthy.” With his body as the one thing holding him back, but training and discipline offering the only way to advance, Moonrider suggests that Rasmus’s relentless and potentially self-destructive quest to be number one is an addiction. To pursue life with a death wish is an odd but exhilarating feeling, and since Dencik lets the viewer experience the race from a cyclist’s point-of-view, one can feel the rush of adrenaline and the thrill of feeling alive that fuels Rasmus’s mania. Rasmus explains how the rush of propelling the bike and the quest to overcome his limitations is neither a bodily nor an earthly experience, but rather a spiritual one. He talks about using his bike to shoot the moon as his passion for cycling lifts him and as his discipline sets objectives that seem almost too far to overcome. The image of the moon is interspersed throughout the film as a metaphor for the cyclist’s reach and, as the film’s synth score propels the film with a retro flair, Moonrider shows the determined rider as both a visionary and an isolated figure. The approach has one both rooting for Rasmus and wishing that he would stop. It’s a sympathetic and engaging character study regardless of whether one sees Rasmus as crazy or as commendably committed. Moonrider allows the audience to both get inside the subject’s head and observe him from a distance thanks to Dencik’s unique approach. The result is a film that straddles the world of documentary, drama, and experimental cinema alike. Stylistically visionary and dramatically compelling, Moonrider is a winner. Moonrider screens at the Bright Nights Baltic-Nordic Film Festival on Saturday, February 8th at 7:00 pm at Library and Archives Canada (395 Wellington St.). Please visit www.cfi-icf.ca for more information on tickets and show times.